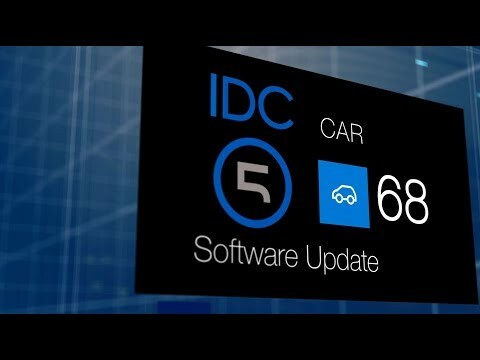 IDC5 CAR 68 is the last update released by TEXA which once again allows taking advantage of the best features of multi-brand diagnosis. We are talking about a great number of diagnostic developments, special function and technical information that are essential in order to complete even the most complicated workshop operations professionally. 60 makes have been updated. For 50 of these makes, moreover, new diagnostic systems never released before have been developed, involving 690 models. Over 560 diagnostic systems have been developed, involving over 150 systems. Furthermore, the work of TEXA technicians has been once again focused on further enhancing the coverage of the Active safety systems, the so-called ADAS, constantly increasing in modern vehicles. In fact, starting from the CAR 68 version, a very interesting new software feature is the link between help sheets, which allows accessing even more detailed and easy-to-read information related to the various operating phases, to complete all the radar and camera calibration procedures professionally. IDC5 CAR 68.0.0 includes over 30,000 new possible selections for the major makes on the market worldwide, among which: ABARTH, ACURA, ALFA ROMEO, AUDI, BENTLEY, BMW, CHEVROLET, CHRYSLER, CITROEN, DACIA, DODGE, FERRARI, FIAT, FORD, GAZ, GMC, GREAT WALL, HONDA, HUMMER, HYUNDAI, JAGUAR, JEEP, KIA, LAMBORGHINI, LANCIA, LAND ROVER, LEXUS, MASERATI, MAZDA, MERCEDES-BENZ, MINI, MITSUBISHI, NISSAN, OPEL (GM), PEUGEOT, PORSCHE, RAVON, RENAULT, RENAULT SAMSUNG, SAAB, SCION, SEAT, SKODA, SUBARU, SUZUKI, TOYOTA, TROLLER, VOLKSWAGEN, VOLVO, WULING.